Join us for a free tour! The famous Jelly Belly Train Tour, featuring updated 4K/HD videos to show you how we bring Jelly Belly jelly beans to life. Store hours 9 a.m. – 5 p.m.
Tour hours 9 a.m. – 4 p.m. Please note: We occasionally operate on reduced hours, including (but not limited to) Christmas Eve and New Year's Eve. Call ahead for modified hours. Hours are subject to change. 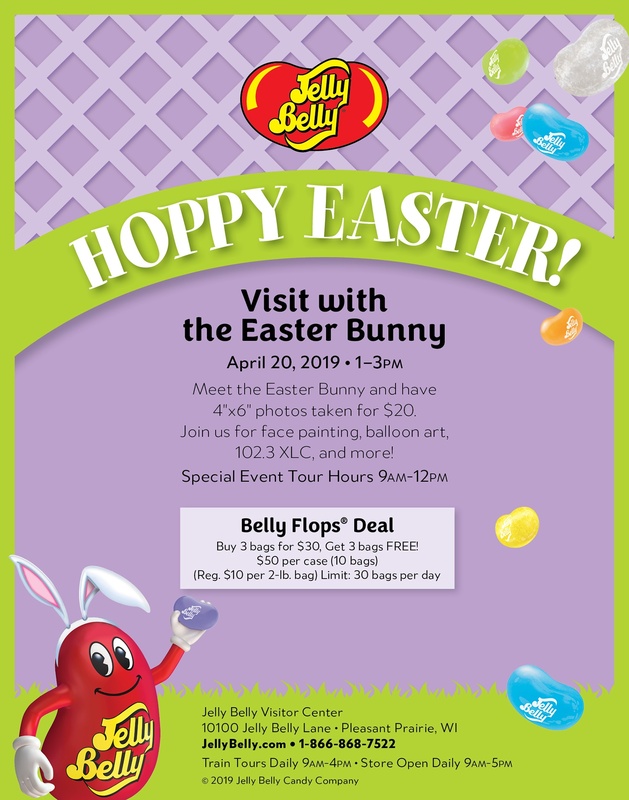 Free tours include your stop at Jelly Belly Station and ride aboard the Jelly Belly Express. Learn how we make world-famous Jelly Belly jelly beans and how our company grew to be what it is today. Our Retail Store, Snack Bar, and Fudge Counter confections and foods contain certain allergy triggers. Please check out our FAQ (Frequently Asked Questions) to learn more about allergens and to submit a question. Bus and RV parking is available during business hours. Overnight parking is prohibited. All videos include subtitles to accommodate our guests who are hearing impaired. We are closed on New Year's Day, Easter Sunday, Thanksgiving Day, and Christmas Day. We occasionally operate on reduced hours, including (but not limited to) Christmas Eve and New Year's Eve. Hours and production schedules are subject to change without notice. Please refer to our Event Calendar for these notifications or call ahead for modified hours. Parking is free! Bus and RV parking is also available during business hours. Overnight parking is prohibited. Only service animals are allowed inside. Personal pets are prohibited. Please do not leave pets unattended in vehicles, especially on hot or cold days. Jelly Belly operates smoke-free campuses. Smoking and vaping is not permitted on the premises, including parking lots, sidewalks and other common areas. The addition of Jelly Belly Station helps limit wait times. Groups of visitors are taken approximately every 10-15 minutes. Off-season visitors may not have to wait at all. During busy days (on holidays or over the summer), there may be a wait. If you have any questions about wait times while you are with us, please check in with an attendant at our Information Booth. For additional tour information, call 1-800-9-JELLYBEAN (1-800-953-5592).